Was I terrified to go on a hot air balloon ride? You bet! Would I do it again? Absolutely! 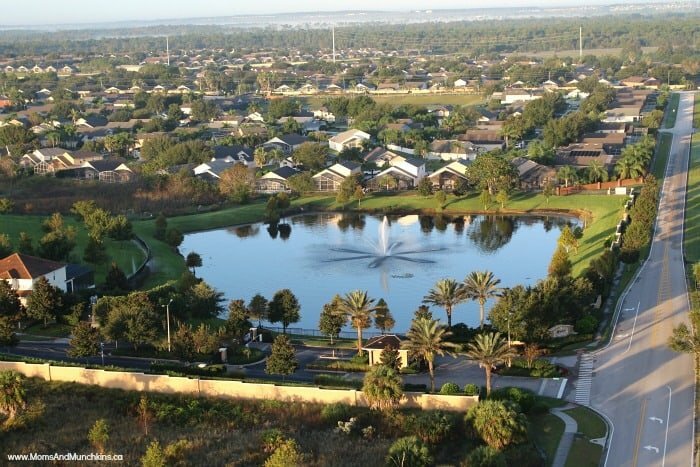 It was an early November morning in Florida and I was on a shuttle bus heading to Orlando Balloon Rides for my very first hot air balloon adventure. 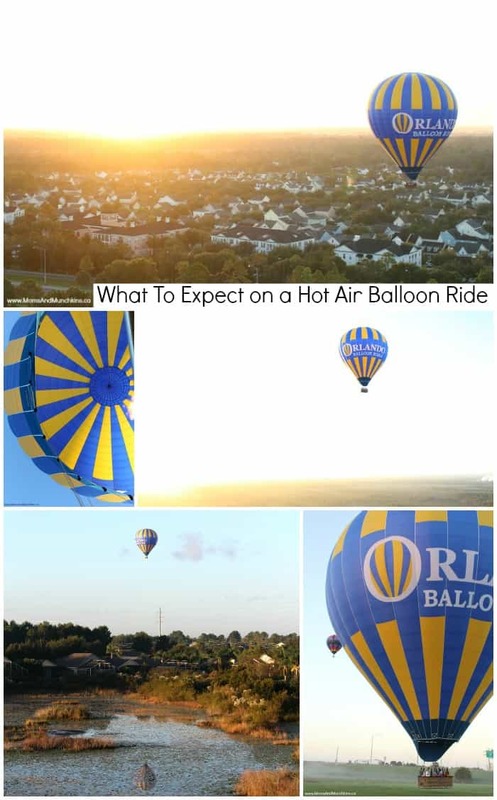 It was a quiet ride that morning for a few reasons: (1) You have to be up incredibly early to board a hot air balloon to see the sunrise; and, (2) I think a few of us (myself included) were scared. 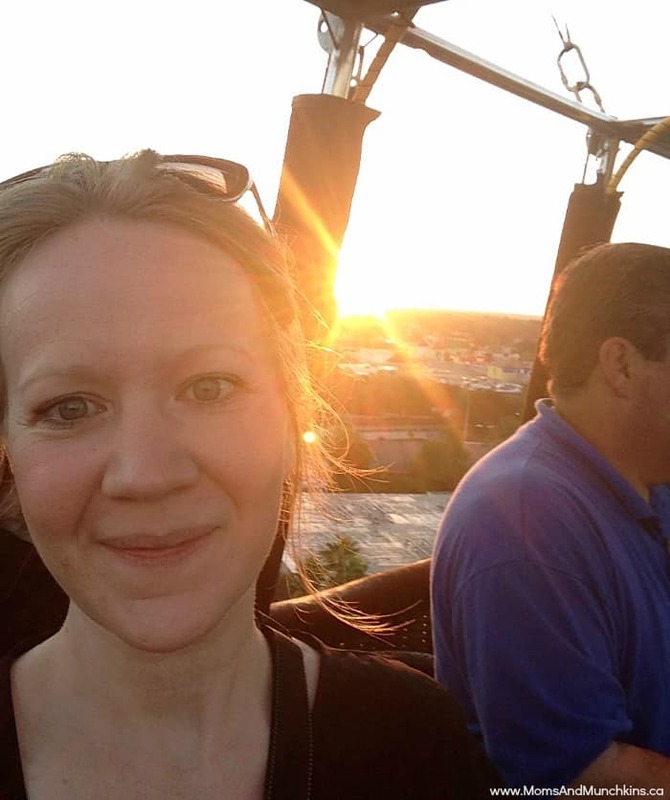 I’m not afraid of heights but something about a hot air balloon ride sounded scary to me. I’ll be honest with you, thoughts of hiding in the shuttle bus and watching my group float up to the sky while I was safely on the ground were going through my head. I had to give myself a little pep talk in the bus before heading out on this adventure. Was I scared? Absolutely. Was I going to let an amazing opportunity like this pass me by? No way. Upon our early arrival to Orlando Balloon Rides, we were welcomed by their energetic staff (they love what they do and it shows!). There are a few forms to read over and a waiver to sign. You then wait for the rest of your passengers to arrive before loading into a van (hot air balloon & basket in tow) to the takeoff location. Once you arrive in your takeoff location, they’ll run a few tests like testing the wind direction, assessing the area, etc. so you can expect a bit of a wait while they go through their safety checks. Once they decide that the location and conditions are safe, they’ll start unloading the baskets and balloons. These things are huge! The baskets can carry 16-20 people. It isn’t one large open basket – there are sections & 3-4 people can fit in each section. This helps to properly distribute the weight in the basket. If you’re traveling with a buddy, make sure you let your flight crew know that you want to stand together in the basket. The crew will start unrolling the balloons and getting them ready to inflate. This process takes a little time so be prepared to wait a bit. When the balloon is ready to takeoff, be prepared to quickly climb into the basket. The crew will give you a warning that loading time is approaching so make sure your camera is put away and you’re ready to climb in. Up, up & away! It’s too late to turn back now! Now the real adventure begins! We started floating up and the cars & trees down below started to look smaller and smaller. Now that I was actually in the basket and floating up to the sky, I was waiting for the panic to set in but it didn’t. It’s actually quite relaxing up there! I wouldn’t have believed it if I hadn’t experienced it for myself but it actually isn’t a scary experience at all. It was such an amazing experience to see the sunrise while gracefully floating through the sky. I can see why this is such a popular choice for adventure-seekers! Our flight crew was fabulous. The guys had a great sense of humor, they were able to answer all of our questions about the flight and the scenery down below and they gave us plenty of tips to make the most of our experience. Each time a great photo opportunity was coming up, they’d give us notice to get our cameras ready. Who knew that you could fly close enough to the water to see such a clear reflection?! Unlike what I pictured, you aren’t up high in the sky the entire time. Sometimes we were floating high above the trees and other times it felt like we could land in someone’s backyard! It’s all part of the amazing experience and I loved the different views. We even surprised a family while they were eating breakfast by their pool. 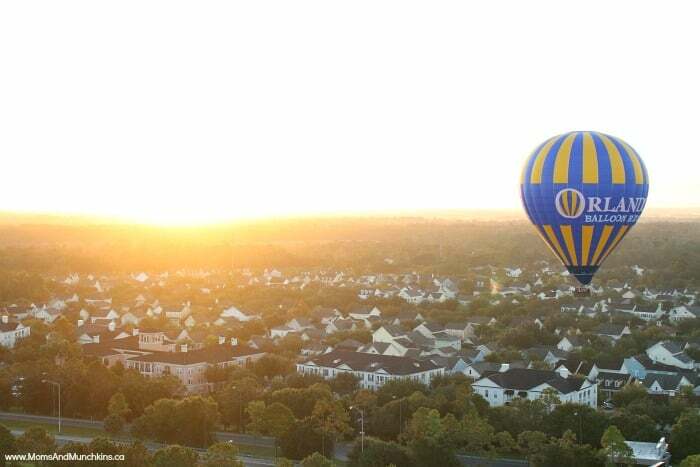 I bet a hot air balloon flying close by their yard isn’t something they see every day! 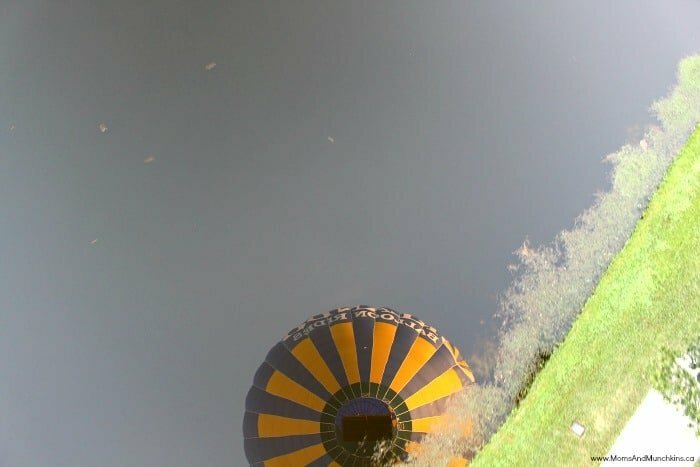 I love this view of looking up into the balloon while in the basket! Before landing, the crew gave us instructions for how to stand, where to hold onto the handles and what to expect when we touched the ground. I was expecting a hard landing but it was actually quite smooth. That’s what you can expect from the experts! 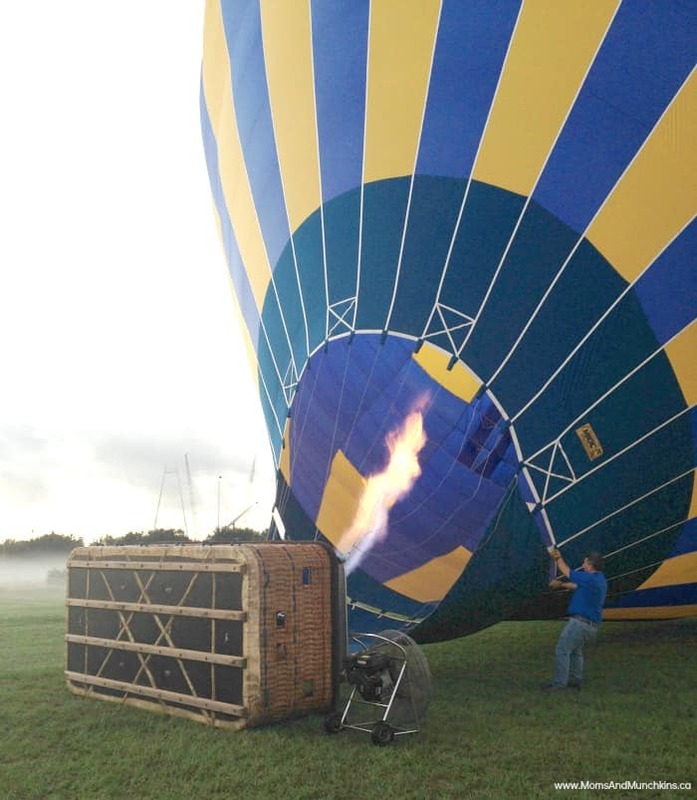 When you land, the crew will start packing up the balloon and loading the basket back onto the truck. After a chat & a celebration drink, you’ll load back into the van to go back to headquarters. Another item checked off my bucket list. 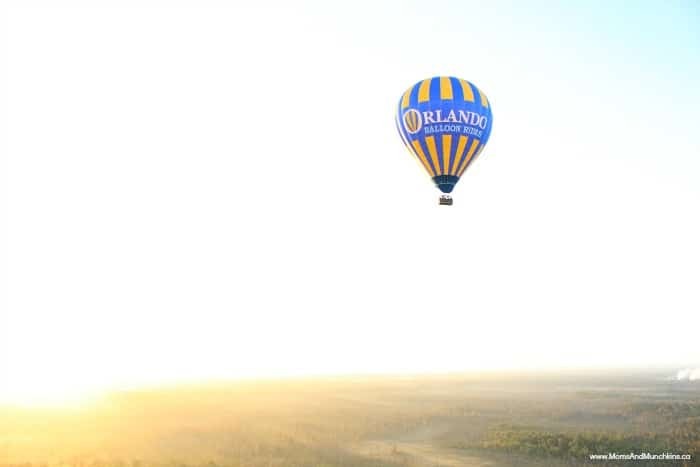 Thank you Orlando Balloon Rides! 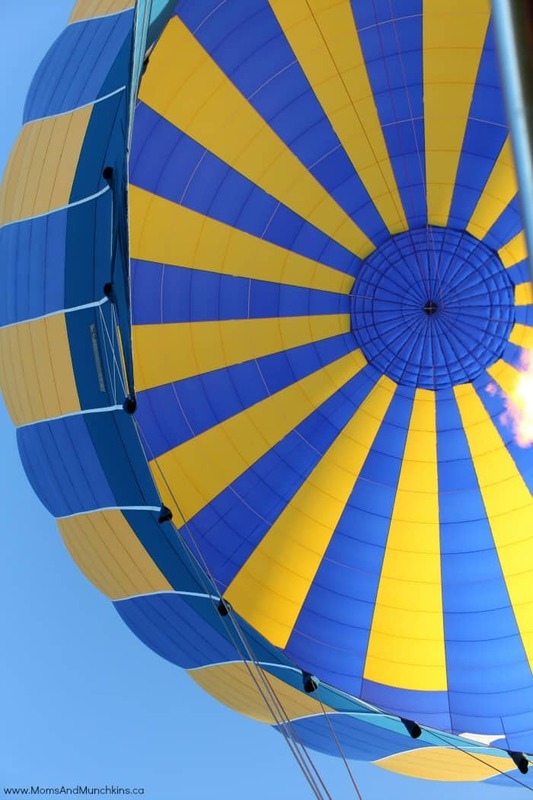 To help you make the most of your adventure, here are some hot air balloon ride tips! Dress for an adventure! You’ll be wishing you left your heels at home when you’re walking through the grass and trying to quickly climb into basket before takeoff. Heels, flip flops and cute skirts are not recommended for this adventure. Book early! 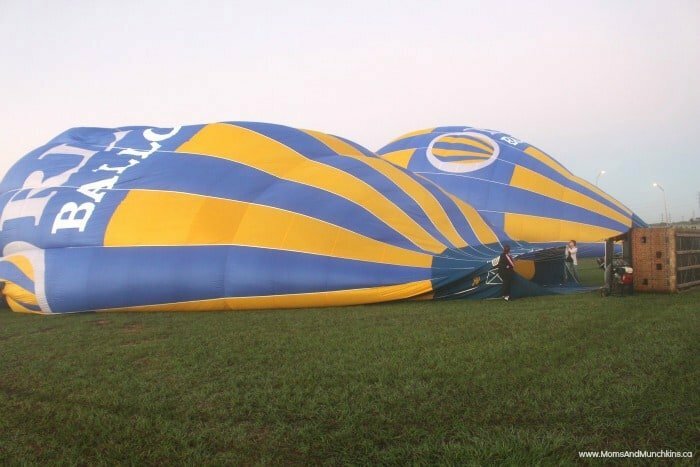 The weather isn’t always perfect for hot air balloon rides so don’t schedule your trip on the last day of your vacation or you’ll be disappointed if the flight is cancelled. Book your adventure early on in your vacation so you have flexibility if you need to change your flight date due to weather conditions. Don’t forget your camera! You are going to be experiencing something so incredibly awesome and everyone is going to want to hear all about it. A picture is worth a thousand words, right? Not only will you want to show your pictures to friends but this adventure is one for the family scrapbook! Have your camera on a strap! I didn’t do this and every time I leaned a little over the edge to get a good shot, I was picturing my camera sliding out of my slippery, sweaty hands. Bring a strap for your camera and attach it before you hop into the basket. Keep your camera close! There are so many great photo opportunities when you’re floating up there so have your camera handy so you don’t miss any good shots. Leave your worries behind! My mom is always telling me that I worry too much about things before they happen. I’m a planner – I walk myself through events in my mind before they actually happen. What will I do if this happens? What about that? I had myself so worried about this adventure that I couldn’t fully enjoy the experience until I was up in the sky and could see just how fun it was. 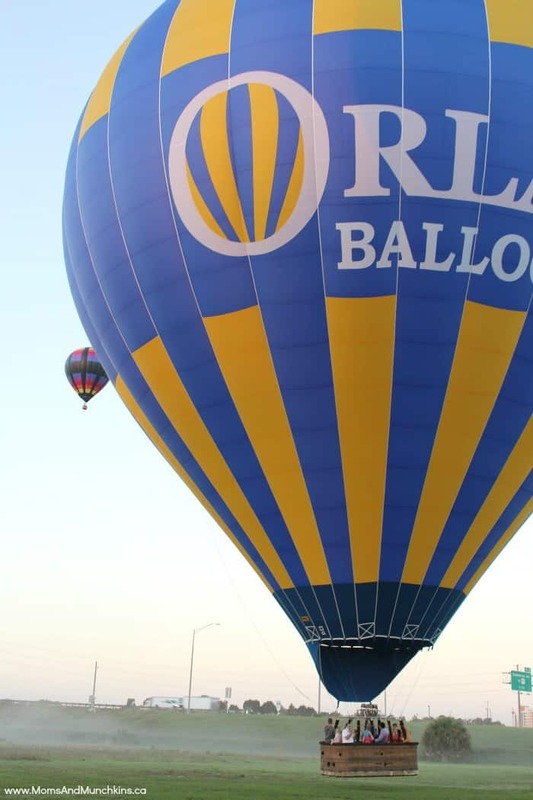 The crew at Orlando Balloon Rides is great and they’ll do everything they can to make sure you have a pleasant and memorable experience. 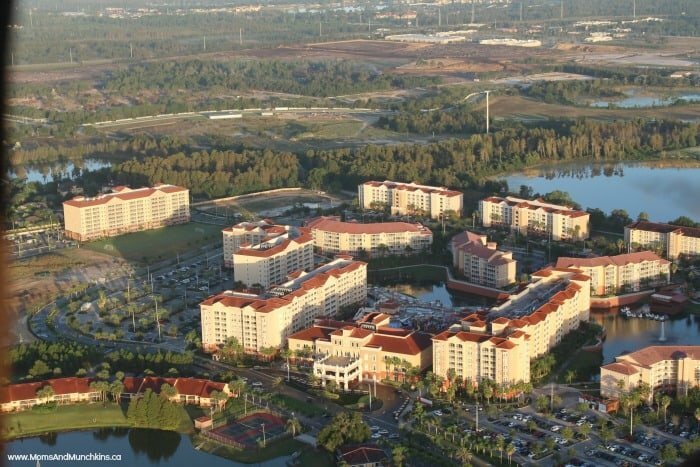 Have I convinced you to try a hot air balloon ride yet? 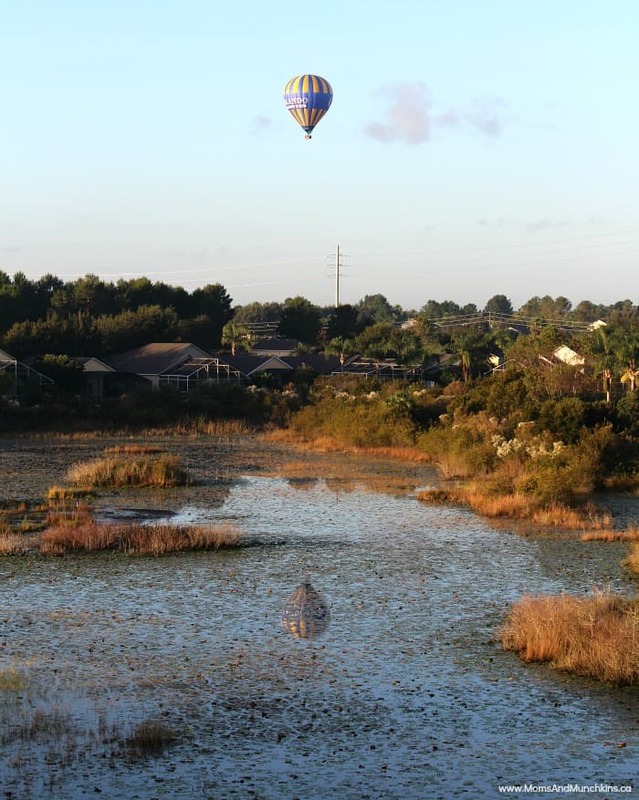 Talk to the staff at Orlando Balloon Rides and they can help you plan your adventure. They also have locations in Canada (Sundance Balloons) and Las Vegas (Vegas Balloon Rides). 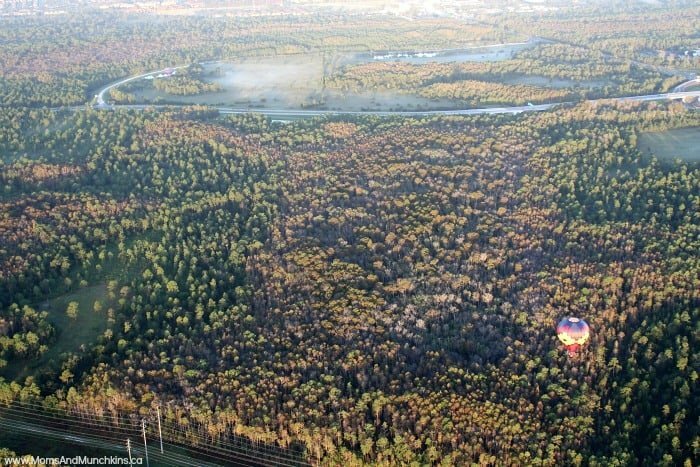 *Disclosure: This experience was provided to me by Experience Kissimmee and Orlando Balloon Rides; however, all opinions expressed here are my own. Amazing! I would be terrified, but your photos make it look totally worth it! Awesome! What an adventure! Thanks for taking us along and sharing with us at Brag About It! Pinning and tweeting!